HPDI’s amazing IMMUNE-ASSIST™ mushroom formula is a combination of more than 200 different polysaccharides, derived from the enzymatic breakdown of complex organic plant material from six different species of organically grown medicinal mushrooms. These include Agaricus blazei, Cordyceps hybrid (sinensis and militaris), Lentinula edodes (shiitake), Grifola frondosa (maitake), Ganoderma lucidum (Reishi), and Coriolus versicolor. IMMUNE-ASSIST™ Daily Formula contains simple polysaccharides similar to many other products on the market, but it also contains much more complex polysaccharides like the cross-linked beta mannans and beta-glucans into the same molecule. This is why Immune-Assist™ shows such a greater range of immuno-modulation bioactivity than other bran based supplements. Included among the important substances in Immune-Assist™ are Arabinoxylane, Lentinan, Grifolan (Dr. Nanba’s original Maitake D-Fraction), PSK and PSP, and Active Hemicellulose Correlated Compound (AHCC). Many mushroom-derived polysaccharides appear to fit the accepted criteria for immunomodulators or biological response modifiers (BRM) compounds. They cause no harm and place no additional stress on the body, they assist the body to adapt to the various environmental and psychological stresses, and they have a non-specific action on the body, supporting all the major systems, including nervous, hormonal, and immune systems, as well as regulatory functions. Recent scientific research has shown that medicinal mushrooms grown on vegetable sources (such as millet, rice bran, buckwheat, milo, etc.) 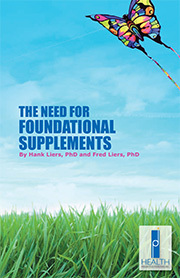 enzymatically activate a process whereby complex cross-linked polysaccharides from the vegetable sources are converted to biologically active immunomodulators. As you will see from the discussion below, the polysaccharides produced by this process are effective and safe immune stimulants. Medicinal mushroom research has focused on discovering compounds that can modulate positively or negatively the biological response of immune cells. Certain mushroom derived-glucans and polysaccharide-bound proteins have been shown to act as immunomodulators, where these polymers interact with the immune system to upregulate or downregulate specific aspects of the responses of the host and this may result in various therapeutic effects. Whether certain compounds enhance or suppress immune responses can depend on a number of factors including dosage, route of administration, timing and frequency of administration, mechanism of action or the site of activity. The most effective polysaccharides isolated from mushrooms (fruit-body, submerged, cultured mycelial biomass or liquid culture broth) are either water-soluble β-D-glucans, β-D-glucans with heterosaccharide chains of xylose, mannose, galactose, or uronic acid or β-D-glucan-protein complexes – proteoglycans. While the role of medicinal mushrooms in immunomodulation represents the central theme of much of the conducted research, it is pertinent to observe that many of the medicinal mushrooms have been highly valued for other medicinal properties including cholesterols control, blood pressure support, blood sugar support, assistance with viral and bacterial balance, and antioxidant and free radical scavenging. The safety criteria for mushroom-derived β-glucans have been exhaustively carried out in pre-clinical experiments. Acute, subacute, and chronic toxicity tests have been carried out together with administration during pregnancy and lactation with no adverse effects. There were no anaphylactic reactions and no effects in mutagenicity and haemolysis tests, blood coagulation and a wide range of other regulatory tests. There was no evidence of genotoxicity. Similar results have been obtained with other β-glucans. When applied to humans in Phase 1 clinical tests, the β-glucans demonstrate remarkably few adverse clinical reactions. In the 2001 report Medicinal Mushrooms: Their Therapeutic Properties and Current Medical Usage, a wide variety of mushroom polysaccharides, including Lentinan (from L. edodes), Schizophyllan (from S. commune), PSK and PSP (from Trametes versicolor), and Grifron-D (from the Maitake mushroom G. frondosa) and others are described, and their properties are shown to satisfy the criteria for biological response modifiers. Many of these mushroom-derived polymers potentiate the host’s innate (non-specific) and acquired (specific) immune responses in a similar manner, where they activate many kinds of immune cells that are vitally important for the maintenance of homeostasis. Key innate responses that are stimulated by these mushroom derived-β-glucans or polysaccharide-protein complexes include host T-cells (such as cytotoxic macrophages, monocytes, neutrophils, natural killer cells, and dendritic cells) and chemical messengers (cytokines such as interleukins, interferon and colony stimulating factors) that trigger complement and acute phase responses. Moreover, mushroom polysaccharides or polysaccharide-protein complexes are considered as multi-cytokine inducers that are able to induce gene expression of various immunomodulatory cytokines and cytokine receptors. In addition, acquired responses are also enlisted, where lymphocytes that govern antibody production (B cells) and cell-mediated cytotoxicity (T-cells) are stimulated. While the immune system is shrouded in tremendous complexity, our current understanding shows that it is regulated in an orchestrated dynamic manner. Mushroom-derived polysaccharides have shown therapeutic activities in both pre-clinical models and in clinical trials. Although the mechanism of their action is still not completely clear, Lentinan, Schizophyllan, PSP, PSK and other mushroom polysaccharides appear to mediate their activity by activation or augmentation of the host’s immune system (via stimulated cytotoxic macrophages, cytotoxic T-cells and antibody-mediated cytoxicity of targeted cells), rather than direct cytotoxicity. Thus, both cell-mediated immune responses against the target T-cells initiated by macrophage-lymphocyte interactions and cytoxicity induced by antibodies to target T-cells are believed to contribute to the elimination of abnormal cells. Recent evidence suggests that several mushroom polysaccharides may also possess cytotoxic properties. Grifron-D from G. fondosa mushroom was reported to induce apoptosis (programmed cell death) in human prostate cell-lines. In China, Japan, Korea, and more recently in the USA, hundreds of mushroom species have been studied during the past 30 years. Extracts from most of the medicinal mushrooms show a common property of enhancing immune function by modulating cell-mediated immunity. Simply put, such mushroom extracts seem to turn on cells in the immune system, which appear to have significant healing properties. In fact, three different drugs extracted from mushrooms have been approved by the Japanese equivalent of FDA (that is, the Japanese Health and Welfare Ministry). These three are lentinan, derived from shiitake; PSK, derived from coriolus versicolor; and schizophyllan, derived from suehirotake. Based on the latest research a USA-based company (Aloha Medicinals, Inc.) has formulated for Health Products Distributors, Inc. IMMUNE-ASSIST™ Daily Formula. This formula contains more than 200 different polysaccharides, derived from the enzymatic breakdown of complex organic plant material from six different species of medicinal mushrooms. These include Agaricus blazei, Cordyceps hybrid (sinensis and militaris), Lentinula edodes (shiitake), Grifola frondosa (maitake), Ganoderma lucidum (Reishi), and Coriolus versicolor. Shiitake is now the most popular and most cultivated exotic mushroom in the world. In China, shiitake has a history that dates back to the Ming Dynasty (1368–1644 ACE). The mushroom was used not only as a food but was taken as a remedy for upper respiratory diseases, poor blood circulation, liver trouble, exhaustion and weakness, and to boost chi, or life energy. It was also believed to prevent premature aging. Coriolus (or Trametes) versicolor is the most thoroughly clinically researched mushroom. An extract of Coriolus versicolor known as PSK is sold in Europe and Japan. It is an immunostimulant; demonstrates anti-viral activity; enhances T-cell proliferation; and has been shown to improve both disease-free and survival rates in patients. Maitake may be even more potent than any of the other mushrooms previously studied. This legendary giant mushroom has been studied for its anti neoplastic, anti-diabetic, anti-hypertensive, and anti-hyperlipemic effects since the mid-1980s. Its anti-HIV activity in vitro was demonstrated in tests conducted by the Japan Institute of Health and the US National Cancer Institute in early 1992. Among various extracts obtained from the Maitake mushroom, a specific extracted fraction named Maitake D-fraction is the active constituent. This extract contains beta-1, 3-glucans and beta-1, 6-glucans protein-bound polysaccharides. 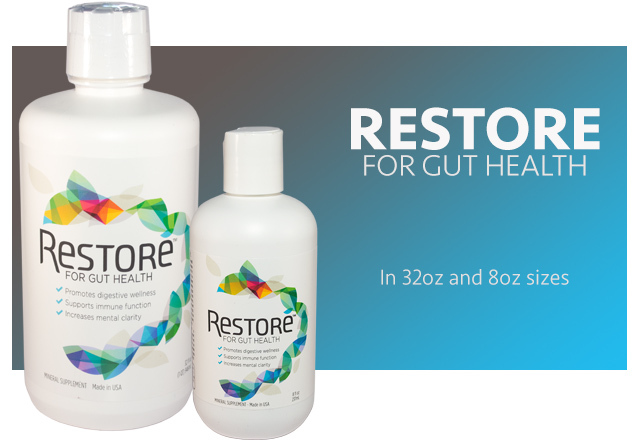 It has demonstrated remarkable cell-protective activity by activating the immune system through oral administration. The Chinese have long used Cordyceps sinensis and militaris to promote overall good health, and modern research indicates that it does indeed support liver, kidney, heart, and immune system function. Cordyceps has been used to protect the bone marrow and digestive systems of mice from whole body irradiation. One experiment noted that Cordyceps may protect the liver. An experiment with mice indicated the mushroom may have an anti-depressant effect. Researchers have observed that Cordyceps has a hypoglycemic effect and may be beneficial for people with insulin resistance. Cordyceps mushroom extracts have been shown to stimulate the number of T helper cells, prolong the survival of lymphocytes, enhance TNF-alpha and interleukin 1 production, and increase the activity of natural killer cells. One study indicates that cordyceps can stimulate progesterone production in animal cells. Reishi possess immunomodulary and immunotherapeutic activities supported by studies on polysaccharides, terpene, and other bioactive compounds isolated from fruiting bodies and mycelia of this fungus. It has also been found to inhibit platelet aggregation, and to lower blood pressure (via inhibition of angiotensin-converting enzyme), cholesterol, and blood sugar. In an animal model, Reishi has been reported to prevent metastasis, with potency comparable to Lentinan from shiitake mushrooms. The mechanisms by which Reishi may target different stages of abnormal growth development include: 1) inhibition of angiogenesis (formation of new blood vessels created to supply nutrients to the abnormal cell) mediated by cytokines, 2) cytotoxicity, 3) inhibition of migration of the cells and 4) inducing and enhancing apoptosis. Besides effects on mammalian physiology, Reishiis reported to have anti-bacterial and anti-viral activities. Reishi is reported to exhibit direct anti-viral effects with the following viruses: HSV-1, HSV-2, and influenza. Agaricus blazei is an edible mushroom native to Brazil and cultivated in Japan and the USA for its medicinal uses. It has been used to treat arteriosclerosis, hepatitis, hyperlipidemia, diabetes, dermatitis, and neoplasms. In vitro experiments and studies done in mice have shown that Agaricus has immunomodulatory and antimutagenic properties. The polysaccharides and anti-angiogenic compounds present in Agaricus are thought to be responsible for its therapeutic properties. Such effects are believed to be exerted by immunopotentiation or direct inhibition of angiogenesis. AHCC is produced by from the enzymatic action of vegetable sources with mycelial extracts from several different mushrooms. There is about four times more AHCC in each dose of Immune-Assist™ than there is in other AHCC products on the market. AHCC is a food substance that contains a broad range of polysaccharides. It is believed that a special polysaccharide with a molecular weight of about 5,000 and an alpha 1,4 glucan linkage in this mushroom extract is primarily responsible for the powerful immune enhancing effects on natural killer cells. A heavier polysaccharide in the extract appears to have a powerful stimulating effect on macrophages which, in turn, further stimulates the immune system including a number of cytokines (Interleukin-2, Interleukin-12, TNF, and Interferon). Furthermore, some research has indicated that components of AHCC may have direct cytotoxic effects on unhealthy cells. The human immune system is comprised of more than 130 subsets of white blood cells. Natural Killer (NK) cells make up roughly 15% of all human white blood cells. 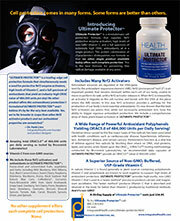 They provide the first line of defense for dealing with any form of invasion to the body. Each NK cell contains several small granules that act as chemical destroyers. Once an NK cell has recognized an unwanted cell, for example, it attaches itself to the cell’s outer membrane and injects these granules directly into the interior of the cell. The granules then destroy the cell within five minutes. The undamaged NK cell then moves on to other cells and repeats the process. When the immune system is particularly strong, active NK cells will often take on more than one cell or other infected cells at the same time. Unlike other white blood cells, inadequate numbers of NK cells are very rarely a problem. Instead, it is the activity of the cells that generally determines whether one is sick or healthy. As long as the NK cells are active, everything remains under control. If NK cells lose their ability to either recognize or destroy the invader, however, the situation can deteriorate rapidly. In many patients with serious health conditions, NK cell activity is probably the primary criteria for estimating the chances of survival. It is commonly accepted that when NK cells cease to function, the end is near. In addition, research has now confirmed that individuals with low NK cell activity are significantly more susceptible to autoimmune diseases, chronic fatigue syndrome, viral infections and the development of abnormal growths. Doctors can test NK cell activity with a test called the NK cell function test. Basically, a blood sample is taken from the patient and placed in a vial containing appropriate live cells. After four hours, a count is taken to determine what percentage of the cells have been destroyed by the NK cells. The higher the percentage, the more active the cells. This test is referred to as the four hour Chromium-release assay. Your doctor can order the test from Immune Sciences Lab in Beverly Hills, CA at (310) 657-1077. 1) It increases the number of explosive granules in NK cells. The more granules an NK cell carries, the more unhealthy cells it can destroy. 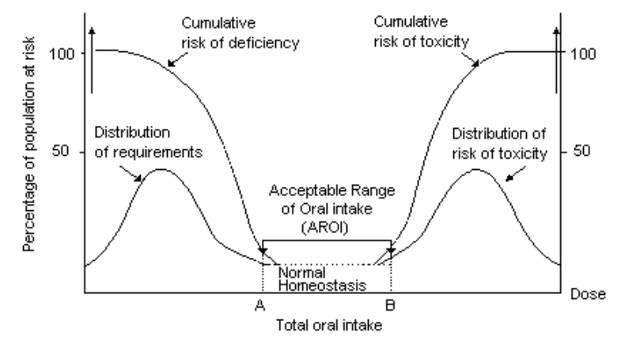 2) Oral ingestion can increase NK activity as much as 300% (or even higher). 3) It increases interferon (IFN) levels. Interferon is another potent compound produced by the body that both inhibits the replication of viruses and other parasites and increases NK cell activity. 4) It increases the formation of TNFs. TNFs are a group of proteins that help destroy unwanted cells. 5) It increases number and the activity of other lymphocytes, especially T-cells (up to 200%) and macrophages. 6) It stimulates cytokine (IL-2, IL-12, TNF, and IFN) production, which stimulates immune function. DIRECTIONS: As a dietary supplement take two capsules per day in divided doses, or as recommended by a health care professional. In severe conditions, we suggest six (6) capsules per day for two weeks to build up immune activity, then maintaining a dosage of two (2) capsules per day. Alternatively, Immune-Assist™ can be taken at the time of exposure or first signs of illness, in which case we recommend taking two caps three times per day. INGREDIENTS: IMMUNE-ASSIST™ contains a proprietary organic grown blend grown on organic white milo (growing substrate) and veggie capsule. IMMUNE-ASSIST™ does not contain: wheat, rye, oats, corn, barley, gluten, soy, egg, dairy, yeast, GMOs, sugar, wax, preservatives, colorings, or artificial flavorings. 1) Healing Mushrooms by Dr. Georges Halpern, MD, PhD, 2007. 2) Medicinal Mushrooms: Their Therapeutic Properties and Current Medical Usage with Special Emphasis on Cancer Treatments. Smith, Rowan and Sullivan, 2001. 3) Medicinal mushrooms as a source of antitumor and immunomodulating polysaccharides (PDF 269 kb). A peer-reviewed article by Dr. Solomon Wasser of University of Haifa, Israel, 2002. I previously wrote METHYLATION CYCLE, GENETICS, B VITAMINS in which I considered in-depth how the Methylation Cycle functions, how genetics affect metabolic pathways, and how B vitamins (including vitamin B12, folate, vitamin B6, and vitamin B2) are used in Methylation Cycle pathways. In today’s article, I take an in-depth view of what you need to know about vitamin B12, including the effects of not having sufficient amounts of Vitamin B12 in the body. Vitamin B12 is one of eight B vitamins. It is the largest and most structurally complicated vitamin. It consists of a class of chemically related compounds (vitamers), all of which show physiological activity. It contains the biochemically rare element cobalt positioned in the center of a chemical ring structure. Vitamin B12 (also called cobalamin) is a water-soluble vitamin that is involved in the metabolism of every cell of the human body. It is a cofactor in DNA synthesis, and in both fatty acid and amino acid metabolism. It is particularly important in the normal functioning of the nervous system via its role in the synthesis of myelin and in the maturation of developing red blood cells in the bone marrow. Vitamin B12 contains the biochemically rare element cobalt positioned in the center of a chemical ring structure. Vitamin B12 deficiency is thought to be one of the leading nutritional deficiencies in the world. An extensive 2004 study showed that deficiency is a major health concern in many parts of the world, including the North America, Central and South America, India, and certain areas in Africa. 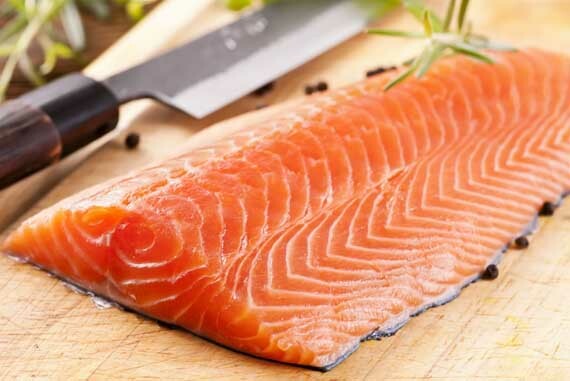 It is estimated that 40 percent of people may have low levels of vitamin B12. Vitamin B12 affects your mood, energy level, memory, nervous system, heart, skin, hair, digestion and more. It is a key nutrient regarding adrenal fatigue and multiple metabolic functions including enzyme production, DNA synthesis, and hormonal balance. Because of vitamin B12’s extensive roles within the body, a vitamin deficiency can show up in many different symptoms, such as chronic fatigue, mood disorders such as depression, chronic stress, and low energy. The only organisms to produce vitamin B12 are certain bacteria and archaea. Some of these bacteria are found in the soil around the grasses that ruminants eat. They are taken into the animal, proliferate, form part of their gut flora, and continue to produce vitamin B12. Products of animal origin such as beef (especially liver), chicken, pork, eggs, dairy, clams, and fish constitute the primary food source of vitamin B12. Older individuals and vegans are advised to use vitamin B12 fortified foods and supplements to meet their needs. Commercially, Vitamin B12 is prepared by bacterial fermentation. Fermentation by a variety of microorganisms yields a mixture of methylcobalamin, hydroxocobalamin, and adenosylcobalamin. Since multiple species of propionibacterium produce no exotoxins or endotoxins and have been granted GRAS status (generally regarded as safe) by the United States Food and Drug Administration, they are the preferred bacterial fermentation organisms for vitamin B12 production. Methylcobalamin and 5-deoxyadenosylcobalamin are the forms of vitamin B12 used in the human body (called coenzyme forms). The form of cobalamin used in many some nutritional supplements and fortified foods, cyanocobalamin, is readily converted to 5-deoxyadenosylcobalamin and methylcobalamin in the body. Hydroxocobalamin is the direct precursor of methylcobalamin and 5-deoxyadenosylcobalamin. In mammals, cobalamin is a cofactor for only two enzymes, methionine synthase (MS) and L-methylmalonyl-coenzyme A mutase (MUT). Unlike most other vitamins, B12 is stored in substantial amounts, mainly in the liver, until it is needed by the body. If a person stops consuming the vitamin, the body’s stores of this vitamin usually take about 3 to 5 years to exhaust. Vitamin B12 is primarily stored in the liver as 5-deoxyadenosylcobalamin, but is easily converted to methylcobalamin. Vitamin B12, bound to protein in food, is released by the activity of hydrochloric acid and gastric protease in the stomach. Intestinal absorption of vitamin B12 requires successively three different protein molecules: Haptocorrin, Intrinsic Factor and Transcobalamin II. If there are deficiencies in any of these factors absorption of Vitamin B12 can be seriously decreased. When vitamin B12 is added to fortified foods and dietary supplements, it is already in free form and, thus, does not require the separation from food protein step. Free vitamin B12 then combines with intrinsic factor, a glycoprotein secreted by the stomach’s parietal cells, and the resulting complex undergoes absorption within the distal ileum by receptor-mediated endocytosis. Approximately 56% of a 1 mcg oral dose of vitamin B12 is absorbed, but absorption decreases drastically when the capacity of intrinsic factor is exceeded (at 1–2 mcg of vitamin B12). Vitamin B12 – 5 mg Methylcobalamin sublingual lozenge. Vitamin B12 deficiency can be difficult to detect, especially since the symptoms of a vitamin B12 deficiency can be similar to many common symptoms, such as feeling tired or unfocused, experienced by people for a variety of reasons. Vitamin B12 deficiency is commonly associated with chronic stomach inflammation, which may contribute to an autoimmune vitamin B12 malabsorption syndrome called pernicious anemia and to a food-bound vitamin B12 malabsorption syndrome. Poor absorption of vitamin B may be related to coeliac disease. Impairment of vitamin B12 absorption can cause megaloblastic anemia and neurologic disorders in deficient subjects. In some cases, permanent damage can be caused to the body when B12 amounts are deficient. It is noteworthy that normal function of the digestive system required for food-bound vitamin B12 absorption is commonly impaired in individuals over 60 years of age, placing them at risk for vitamin B12 deficiency. A diagnosis of vitamin B12 deficiency is typically based on the measurement of serum vitamin B12 levels within the blood. However, studies show that about 50 percent of patients with diseases related to vitamin B12 deficiency have normal B12 levels when tested. This can cause individuals to ignore taking in adequate levels of vitamin B12 with potential serious consequences. Vitamin B12 or cobalamin plays essential roles in folate metabolism and in the synthesis of the citric acid cycle intermediate, succinyl-CoA. Vitamin B12 deficiency is commonly associated with chronic stomach inflammation, which may contribute to an autoimmune vitamin B12 malabsorption syndrome called pernicious anemia and to a food-bound vitamin B12 malabsorption syndrome. Impairment of vitamin B12 absorption can cause megaloblastic anemia and neurologic disorders in deficient subjects. Normal function of the digestive system required for food-bound vitamin B12 absorption is commonly impaired in individuals over 60 years of age, placing them at risk for vitamin B12 deficiency. Vitamin B12 and folate are important for homocysteine metabolism. Elevated homocysteine levels in blood are a risk factor for cardiovascular disease (CVD). B vitamin supplementation has been proven effective to control homocysteine levels. The preservation of DNA integrity is dependent on folate and vitamin B12 availability. Poor vitamin B12 status has been linked to increased risk of breast cancer in some, but not all, observational studies. 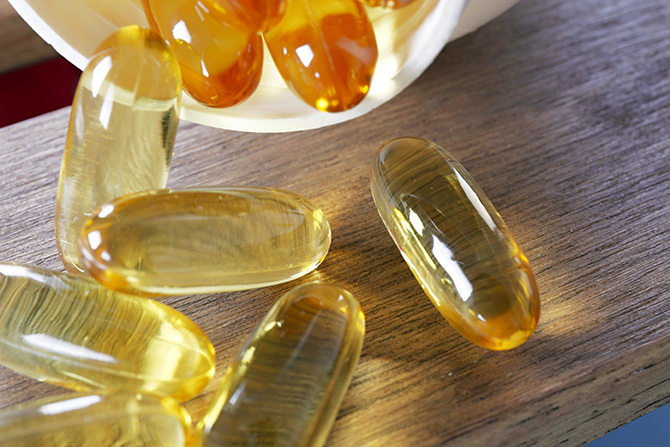 Low maternal vitamin B12 status has been associated with an increased risk of neural tube defects (NTD), but it is not known whether vitamin B12 supplementation could help reduce the risk of NTD. Vitamin B12 is essential for the preservation of the myelin sheath around neurons and for the synthesis of neurotransmitters. A severe vitamin B12 deficiency may damage nerves, causing tingling or loss of sensation in the hands and feet, muscle weakness, loss of reflexes, difficulty walking, confusion, and dementia. While hyperhomocysteinemia may increase the risk of cognitive impairment, it is not clear whether vitamin B12 deficiency contributes to the risk of dementia in the elderly. Although B-vitamin supplementation lowers homocysteine levels in older subjects, the long-term benefit is not yet known. Both depression and osteoporosis have been linked to diminished vitamin B12 status and high homocysteine levels. The long-term use of certain medications, such as inhibitors of stomach acid secretion, can adversely affect vitamin B12 absorption. Vitamin B12 is required for proper red blood cell formation, neurological function, and DNA synthesis. 1. Vitamin B12 is required for proper red blood cell formation, neurological function, and DNA synthesis. Vitamin B12 as methylcobalamin functions as a cofactor for methionine synthase. Methionine synthase (MS) catalyzes the conversion of homocysteine to methionine. Methionine along with ATP is required for the formation of S-adenosylmethionine (SAMe), a universal methyl donor for almost 100 different substrates, including DNA, RNA, hormones, proteins, and lipids. 2. 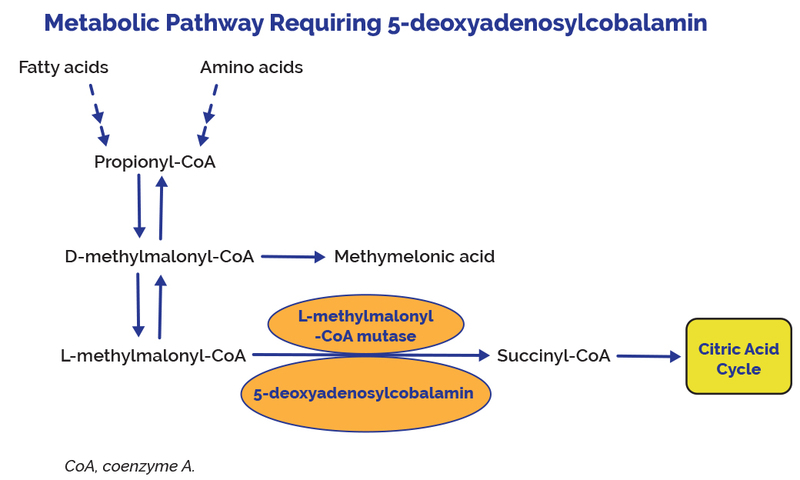 Vitamin B12 as 5-deoxyadenosylcobalamin functions as a cofactor along with L-methylmalonyl-CoA mutase (MUT) to convert L-methylmalonyl-CoA to succinyl-CoA in the degradation of propionate, an essential biochemical reaction in fat and protein metabolism. Succinyl-CoA is also required for hemoglobin synthesis. 3. Vitamin B12, bound to protein in food, is released by the activity of hydrochloric acid and gastric protease in the stomach. When synthetic vitamin B12 is added to fortified foods and dietary supplements, it is already in free form and, thus, does not require this separation step. Free vitamin B12 then combines with intrinsic factor, a glycoprotein secreted by the stomach’s parietal cells, and the resulting complex undergoes absorption within the distal ileum by receptor-mediated endocytosis. Approximately 56% of a 1 mcg oral dose of vitamin B12 is absorbed, but absorption decreases drastically when the capacity of intrinsic factor is exceeded (at 1–2 mcg of vitamin B12). 4. Pernicious anemia is an autoimmune disease that affects the gastric mucosa and results in gastric atrophy. This leads to the destruction of parietal cells, achlorhydria, and failure to produce intrinsic factor, resulting in vitamin B12 malabsorption. If pernicious anemia is left untreated, it causes vitamin B12 deficiency, leading to megaloblastic anemia and neurological disorders, even in the presence of adequate dietary intake of vitamin B12. 5. Vitamin B12 status is typically assessed via serum or plasma vitamin B12 levels. Values below approximately 170–250 pg/mL (120–180 picomol/L) for adults indicate a vitamin B12 deficiency. However, evidence suggests that serum vitamin B12 concentrations might not accurately reflect intracellular concentrations. An elevated serum homocysteine level (values >13 micromol/L) might also suggest a vitamin B12 deficiency. However, this indicator has poor specificity because it is influenced by other factors, such as low vitamin B6 or folate levels. Elevated methylmalonic acid levels (values >0.4 micromol/L) might be a more reliable indicator of vitamin B12 status because they indicate a metabolic change that is highly specific to vitamin B12 deficiency. 6. Vitamin B12 deficiency is characterized by megaloblastic anemia, fatigue, weakness, constipation, loss of appetite, and weight loss. Neurological changes, such as numbness and tingling in the hands and feet, can also occur . Additional symptoms of vitamin B12 deficiency include difficulty maintaining balance, depression, confusion, dementia, poor memory, and soreness of the mouth or tongue. The neurological symptoms of vitamin B12 deficiency can occur without anemia, so early diagnosis and intervention is important to avoid irreversible damage. During infancy, signs of a vitamin B12 deficiency include failure to thrive, movement disorders, developmental delays, and megaloblastic anemia. Many of these symptoms are general and can result from a variety of medical conditions other than vitamin B12 deficiency. 7. Typically, vitamin B12 deficiency is treated with vitamin B12 injections, since this method bypasses potential barriers to absorption. However, high doses of oral vitamin B12 can also be effective. The authors of a review of randomized controlled trials comparing oral with intramuscular vitamin B12 concluded that 2,000 mcg (I like 5,000 mcg) of oral vitamin B12 daily, followed by a decreased daily dose of 1,000 mcg and then 1,000 mcg weekly and finally, monthly might be as effective as intramuscular administration. Overall, an individual patient’s ability to absorb vitamin B12 is the most important factor in determining whether vitamin B12 should be administered orally or via injection. In most countries, the practice of using intramuscular vitamin B12 to treat vitamin B12 deficiency has remained unchanged. 8. Large amounts of folate can mask the damaging effects of vitamin B12 deficiency by correcting the megaloblastic anemia caused by vitamin B12 deficiency without correcting the neurological damage that also occurs. Moreover, preliminary evidence suggests that high serum folate levels might not only mask vitamin B12 deficiency, but could also exacerbate the anemia and worsen the cognitive symptoms associated with vitamin B12 deficiency. Permanent nerve damage can occur if vitamin B12 deficiency is not treated. For these reasons, folate intake from fortified food and supplements should not exceed 1,000 mcg daily in healthy adults. The main causes of vitamin B12 deficiency include vitamin B12 malabsorption from food, pernicious anemia, postsurgical malabsorption, and dietary deficiency. However, in many cases, the cause of vitamin B12 deficiency is unknown. The following groups are among those most likely to be vitamin B12 deficient. Older adults: Atrophic gastritis, a condition affecting 10%–30% of older adults, decreases secretion of hydrochloric acid in the stomach, resulting in decreased absorption of vitamin B12. Decreased hydrochloric acid levels might also increase the growth of normal intestinal bacteria that use vitamin B12, further reducing the amount of vitamin B12 available to the bodY. Individuals with atrophic gastritis are unable to absorb the vitamin B12 that is naturally present in food. Most, however, can absorb the synthetic vitamin B12 added to fortified foods and dietary supplements. As a result, the IOM recommends that adults older than 50 years obtain most of their vitamin B12 from vitamin supplements or fortified foods. However, some elderly patients with atrophic gastritis require doses much higher than the RDA to avoid subclinical deficiency. Individuals with pernicious anemia: Pernicious anemia, a condition that affects 1%–2% of older adults, is characterized by a lack of intrinsic factor. Individuals with pernicious anemia cannot properly absorb vitamin B12 in the gastrointestinal tract. Pernicious anemia is usually treated with intramuscular vitamin B12. However, approximately 1% of oral vitamin B12 can be absorbed passively in the absence of intrinsic factor, suggesting that high oral doses of vitamin B12 might also be an effective treatment. Individuals with gastrointestinal disorders: Individuals with stomach and small intestine disorders, such as celiac disease and Crohn’s disease, may be unable to absorb enough vitamin B12 from food to maintain healthy body stores. Subtly reduced cognitive function resulting from early vitamin B12 deficiency might be the only initial symptom of these intestinal disorders, followed by megaloblastic anemia and dementia. Individuals who have had gastrointestinal surgery: Surgical procedures in the gastrointestinal tract, such as weight loss surgery or surgery to remove all or part of the stomach, often result in a loss of cells that secrete hydrochloric acid and intrinsic factor. This reduces the amount of vitamin B12, particularly food-bound vitamin B12, that the body releases and absorbs. Surgical removal of the distal ileum also can result in the inability to absorb vitamin B12. Individuals undergoing these surgical procedures should be monitored preoperatively and postoperatively for several nutrient deficiencies, including vitamin B12 deficiency. Vegetarians: Strict vegetarians and vegans are at greater risk than lacto-ovo vegetarians and non-vegetarians of developing vitamin B12 deficiency because natural food sources of vitamin B12 are limited to animal foods. Fortified breakfast cereals and fortified nutritional yeasts are some of the only sources of vitamin B12 from plants and can be used as dietary sources of vitamin B12 for strict vegetarians and vegans. Fortified foods vary in formulation, so it is important to read the Nutrition Facts labels on food products to determine the types and amounts of added nutrients they contain. Pregnant and lactating women who follow strict vegetarian diets and their infants: Vitamin B12 crosses the placenta during pregnancy and is present in breast milk. Exclusively breastfed infants of women who consume no animal products may have very limited reserves of vitamin B12 and can develop vitamin B12 deficiency within months of birth. Undetected and untreated vitamin B12 deficiency in infants can result in severe and permanent neurological damage. The American Dietetic Association recommends supplemental vitamin B12 for vegans and lacto-ovo vegetarians during both pregnancy and lactation to ensure that enough vitamin B12 is transferred to the fetus and infant. Pregnant and lactating women who follow strict vegetarian or vegan diets should consult with a pediatrician regarding vitamin B12 supplements for their infants and children. The IOM did not establish a UL for vitamin B12 because of its low potential for toxicity. In Dietary Reference Intakes: Thiamin, Riboflavin, Niacin, Vitamin B6, Folate, Vitamin B12, Pantothenic Acid, Biotin, and Choline, the IOM states that “no adverse effects have been associated with excess vitamin B12 intake from food and supplements in healthy individuals”. Findings from intervention trials support these conclusions. In the NORVIT and HOPE 2 trials, vitamin B12 supplementation (in combination with folic acid and vitamin B6) did not cause any serious adverse events when administered at doses of 0.4 mg for 40 months (NORVIT trial) and 1.0 mg for 5 years (HOPE 2 trial). Vitamin B12 has the potential to interact with certain medications. In addition, several types of medications might adversely affect vitamin B12 levels. A few examples are provided below. Individuals taking these and other medications on a regular basis should discuss their vitamin B12 status with their healthcare providers. Chloramphenicol: Chloramphenicol (Chloromycetin®) is a bacteriostatic antibiotic. 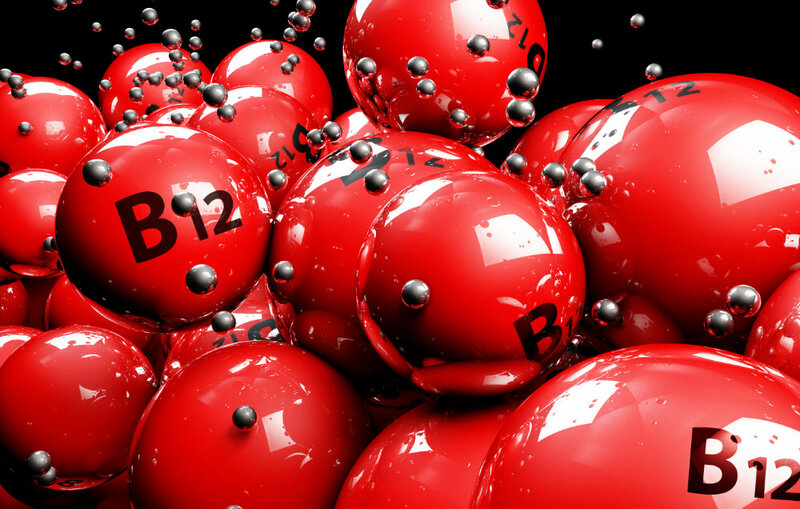 Limited evidence from case reports indicates that chloramphenicol can interfere with the red blood cell response to supplemental vitamin B12 in some patients. Proton pump inhibitors: Proton pump inhibitors, such as omeprazole (Prilosec®) and lansoprazole (Prevacid®), are used to treat gastroesophageal reflux disease and peptic ulcer disease. These drugs can interfere with vitamin B12 absorption from food by slowing the release of gastric acid into the stomach. However, the evidence is conflicting on whether proton pump inhibitor use affects vitamin B12 status. As a precaution, healthcare providers should monitor vitamin B12 status in patients taking proton pump inhibitors for prolonged periods. H2 receptor antagonists: Histamine H2 receptor antagonists, used to treat peptic ulcer disease, include cimetidine (Tagamet®), famotidine (Pepcid®), and ranitidine (Zantac®). These medications can interfere with the absorption of vitamin B12 from food by slowing the release of hydrochloric acid into the stomach. Although H2 receptor antagonists have the potential to cause vitamin B12 deficiency, no evidence indicates that they promote vitamin B12 deficiency, even after long-term use. Clinically significant effects may be more likely in patients with inadequate vitamin B12 stores, especially those using H2 receptor antagonists continuously for more than 2 years. Metformin: Metformin, a hypoglycemic agent used to treat diabetes, might reduce the absorption of vitamin B12, possibly through alterations in intestinal mobility, increased bacterial overgrowth, or alterations in the calcium-dependent uptake by ileal cells of the vitamin B12-intrinsic factor complex. Small studies and case reports suggest that 10%–30% of patients who take metformin have reduced vitamin B12 absorption. In a randomized, placebo controlled trial in patients with type 2 diabetes, metformin treatment for 4.3 years significantly decreased vitamin B12 levels by 19% and raised the risk of vitamin B12 deficiency by 7.2% compared with placebo. Some studies suggest that supplemental calcium might help improve the vitamin B12 malabsorption caused by metformin, but not all researchers agree. Background: Low vitamin B-12 status is prevalent among the elderly, but few studies have examined the association between vitamin B-12 status and intake. Objective: We hypothesized that vitamin B-12 concentrations vary according to intake source. Design: Plasma concentrations and dietary intakes were assessed cross-sectionally for 2999 subjects in the Framingham Offspring Study. The prevalence of vitamin B-12 concentrations <148, 185, and 258 pmol/L was examined by age group (26–49, 50–64, and 65–83 y), supplement use, and the following food intake sources: fortified breakfast cereal, dairy products, and meat. Results: Thirty-nine percent of subjects had plasma vitamin B-12 concentrations <258 pmol/L, 17% had concentrations <185 pmol/L, and 9% had concentrations <148 pmol/L, with little difference between age groups. Supplement users were significantly less likely than non-supplement-users to have concentrations <185 pmol/L (8% compared with 20%, respectively). Among non-supplement-users, there were significant differences between those who consumed fortified cereal >4 times/wk (12%) and those who consumed no fortified cereal (23%) and between those in the highest and those in the lowest tertile of dairy intake (13% compared with 24%, respectively), but no significant differences by meat tertile. Regression of plasma vitamin B-12 on log of intake, by source, yielded significant slopes for each contributor adjusted for the others. For the total group, b = 40.6 for vitamin B-12 from vitamin supplements. Among non-supplement-users, b = 56.4 for dairy products, 35.2 for cereal, and 16.7 for meat. Only the meat slope differed significantly from the others. Conclusions: In contrast with previous reports, plasma vitamin B-12 concentrations were associated with vitamin B-12 intake. Use of supplements, fortified cereal, and milk appears to protect against lower concentrations. Further research is needed to investigate possible differences in bioavailability.